We all know how drinking milk is important for our health. Milk, as well as other dairy products, are rich in calcium. It helps promote the growth of stronger bones. Aside from that, milk has vast nutrients to make our body and immune system healthier and stronger. However, for those who are lactose-intolerant, drinking milk or eating dairy products can be harmful than helpful. What alternative milks can they drink and still get the necessary nutrients and vitamins they need? 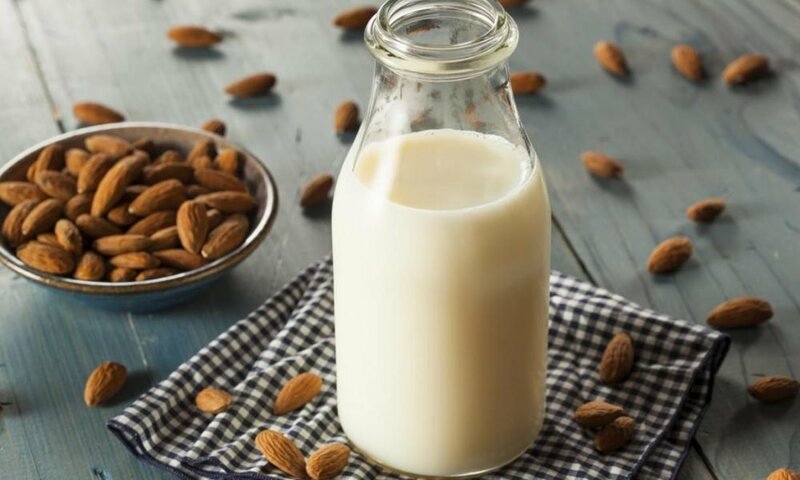 In this post, we will introduce to you an alternative milk that is full of nutrients and a healthier option than dairy milk: almond milk. Almond milk is a non-dairy milk. This means it’s not created from a cow, sheep, or goat. Almond milk is, obviously, made from almonds. It is really quite easy to make your own almond milk. Just soak about 1 cup of raw almonds for about 6 hours and toss it into a blender with 3 cups of water. Blend until smooth and add stevia or sugar to sweeten the milk. Although almond milk contains less calcium than a dairy milk, it does contain beneficial nutrients and vitamins. 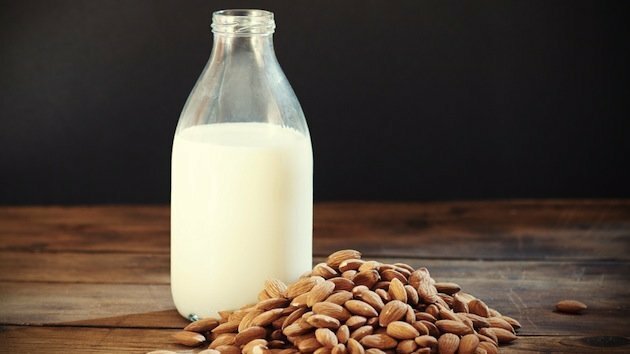 Here are the 5 astonishing health benefits we can get from almond milk. Like soy and dairy products, almond milk is also packed with vitamin D and phosphorous. These nutrients promote the blood circulation in your body and free the clog in your veins that cause blood pressure. What’s good about almond milk is that its soy and dairy-free, so it’s safe to consume and drink even whether you have an intolerance or not. With your blood pressure already going down, you are one step away from acquiring a heart disease too. Almond milk actually contains omega-3 fatty acids that keep your heart healthy. It helps decrease the triglycerides in your body. This hormone is responsible for damaging your blood vessels that often leads to heart disease and stroke. Aside from omega-3 fatty acids, almond milk is also rich in potassium and magnesium, which is good for your brain. Another good thing about almond milk is that it has no cholesterol or sodium. There are also no saturated fats, which are responsible for the inflammation of your body. When your inflammation symptoms decrease, you also decrease your risks in acquiring lifestyle diseases. Although almond milk has less calcium content than dairy milk, you still shouldn’t take its calcium for granted. This is since almond milk can offer at least 30% of your daily calcium intake. That’s a lot already! Aside from that, almond milk is rich in vitamin D, which reduces your risks in acquiring arthritis and osteoporosis. The combination of these two vitamins helps the produce healthy bones and promotes strong teeth. It contains vitamin E and antioxidants, whose properties are known to repair your damaged skin and maintain your natural, youthful glow. 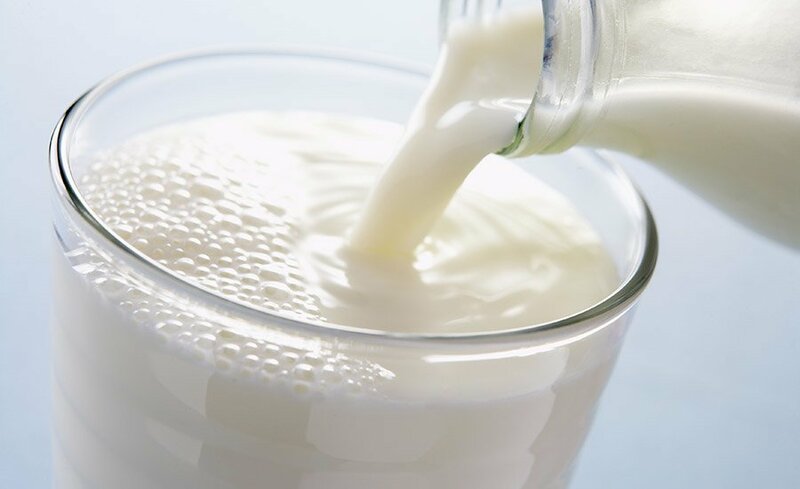 So if you’re feeling like your skin is old and wrinkled, start drinking this milk to restore your natural beauty and look younger with a healthy glowing skin. Last but definitely not the least, this is where almond milk has a significant advantage over dairy milk. This is because of the lactose protein we get from drinking milk. We couldn’t deny that there’s one ingredient that makes our drink sweeter and more delicious: sugar. A dairy milk contains lots of sugar, and if you’re a diabetic person, drinking dairy milk may cause you more harm than good. So, what’s the remedy for that? You can substitute the dairy milk with almond milk because raw, unprocessed almond milk contains no sugar at all! It is low-glycemic in nature, so it doesn’t spike your sugar when you drink it. Aside from that, your body will process the carbs and convert it into energy rather than storing it as a fat. That’s why we recommend you drink this milk instead of dairy milk especially if you’re diabetic. If this is not your cup of tea, you can opt to drink other non-dairy milk like rice milk, cashew milk, and coconut milk.